Nottingham Trent University provides subsidised support to help SMEs in Derbyshire and Nottinghamshire to grow and innovate, through the ERDF funded Enabling Innovation programme. Discover how three local businesses have been positively impacted from their work in design whilst working with Nottingham Trent University. Our hubs consist of dedicated coordinators and innovation experts that provide SMEs expertise and services to support new ideas and innovation. Discover our hubs below to find out how Enabling Innovation can support your business. The Computer Science Innovation hub delivers expert workshops, academic knowledge, and collaborative projects with businesses in areas such as mobile development, big data, cloud computing, the Internet of things, systems analysis, sensing and smart technologies, networking and infrastructure security, and digital media. The Food and Drink hub runs a series of expert-led workshops specifically catering to the needs of the food and drink industry. Each of our hands-on sessions are designed to support your business to innovate in a professional environment. This Nottingham Business School programme, delivered through Enabling Innovation, is tailored towards small and growing businesses that want to innovate and progress. You can choose from our range of expert-led workshops, outreach activities and flexible delivery methods, all designed to fit around your needs. We can also provide you with mentoring and a dedicated innovation coordinator to help you find your way around the range of services on offer. An initial diagnostic to help us understand your business needs. Mentoring from a range of experienced small business advisers to match your needs and help you meet your full innovation potential. Delivers advice and other legal services for businesses, including social enterprises and charities, on a variety of commercial law issues. Areas of expertise range from intellectual property, employment and contractual terms and conditions to commercial dispute resolution and some commercial property law. The Centre’s services are provided by Nottingham Law School staff and students, with all work supervised by the Centre’s qualified lawyers. Workshops are also provided on a variety of legal topics to those looking to set up and develop their businesses and explore other means of delivering effective legal services to SMEs. The Materials and Engineering Innovation hub delivers expert workshops and academic knowledge exchange projects. It will provide you and your business with expertise across multiple disciplines. Through Enabling Innovation, SMEs can access a broad base of knowledge and equipment, giving you access to industrial imaging, materials analysis and process automation. The Design Innovation hub focuses on enabling technologies in collaborative projects around product design, architecture, the built environment, fashion, textiles, virtual reality, and art. Our programme offers access to emerging technologies such as additive manufacturing, allied with the complementary technologies of 3D CAD modelling, 3D visualisation, 3D scanning, reverse engineering, and computational modelling and analysis. We can also assist companies seeking to explore virtual and augmented reality technologies and integrate them into their business practices. Based at the University’s City Campus, The Hive is Nottingham Trent University’s purpose-built centre for entrepreneurship and enterprise. We provide budding entrepreneurs with an inspiring environment and all the support they need to turn their ideas into financially viable and successful business ventures. Through our structured start-up and enterprise development programmes, mentoring and events, The Hive can help enterprising individuals and budding businesses seeking to exploit new business ideas. NTU's Employability team offers recruitment support to small and medium-sized enterprises (SMEs). We perform a workforce analysis, and our consultancy includes support in attracting, selecting and keeping student and graduate talent. If you have recruited, we can support you with developing your talent’s capability to innovate. Our Innovation Community Lab (ICL) is a network of young professionals developed to support SMEs with enhancing their workforce. If you are a graduate recruiter, or are engaging with Employability for the first time, we can support you in developing innovative recruitment processes around the themes of attracting, selecting and keeping talent. delivery of a graduate scheme to enhance an innovative workforce in SMEs. We are a fast growing company in a fast moving industry, and the Enabling Innovation experts helped us to uncover insights into our own team dynamics and ways of working. They gave us practical ways we could change our business that would give us real competitive advantage in terms of employee engagement and innovation. Supporting food and drink businesses to introduce simple, easy to implement ideas that aim to meet HOT guidelines whilst maintaining the great taste and quality that your customers have come to expect. Nottingham Trent University is providing businesses with access to a bespoke package of Nutritional Analysis. 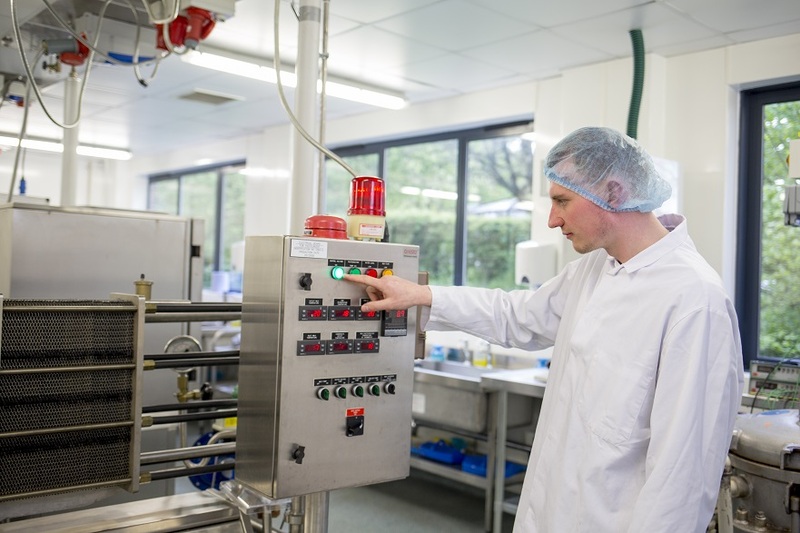 Our broad range of services can assist your organisation to add further value to your products, identify and control ingredient quality and help you communicate your products using industry recognised Traffic light systems. Most small and medium organisations in Derbyshire and Nottinghamshire are eligible for support. Companies must be based in the D2N2 area to qualify for support. D2N2 is the Local Enterprise Partnership (LEP) for Derby, Derbyshire, Nottingham and Nottinghamshire. If you are unsure whether or not you qualify for support, please contact us. Enabling Innovation support is available to businesses until March 2019. If you are interested in accessing these services or would like to know more, contact our team by email or by calling +44 (0)115 848 8899. We have secured funding from the European Regional Development Fund which means that most services provided as part of the Enabling Innovation programme are of no cost to eligible businesses. Enabling Innovation is one of many projects which D2N2 has supported with European funding. Further details of these projects and much more, can be found on the D2N2 Growth Hub site, please click here.